Kano State is one of the largest and leading states in the federation. It can also be safely said to be a metropolitan state where Nigerians from different part of the country live peacefully together. The state has been playing this role of unification among our people which has further amplified our togetherness over the years. Fact is that several governments have encouraged the practice in Kano State and it is instructive that its people are known for their traditional hospitality to their visitors. However, this week, I will take you down memory lane, how the number one citizen of Kano State, Governor Abdullahi Umar Ganduje, OFR has fared in the development of sports, sports men, women, coaches and the youths in his state despite the current economic meltdown. And by the time we are through together in the all-inclusive assessment of this selfless chief servant of his people, you will tactfully beat your chest in admiration of his efforts to add value to his governance in the state. Under him, Kano has remained one of the leading traditional sporting states in the country. Let me make it clear before we become engrossed in his dossier of firsts in sports and youths’ development, that this article was not solicited for rather, it is part of our policy and tradition to bring to the fore, rare achievements that touch peoples’ lives in all ramifications. Governor Ganduje is eminently qualified to be objectively analysed on this our sort after platform this week. Without much ado, Kano State government under his able watch immediately he took oath of office reiterated its resolve to continue to initiate and implement policies that would uplift the fortunes of sports in the state. As if that was not enough, the Governor in his characteristic, repeated that his avowed covenant with his people at the final game of the 2015/2016 Inter Media House football summit tagged ‘Ganduje Cup’ organised by the Kano State chapter of the Sports Writers Association of Nigeria, (SWAN). He was ably, represented by the Executive Chairman, Kano State Sports Commission and erudite sports administrator, Alhaji Ibrahim Galadima who revealed that the state government in its determination to develop sports in the state, would not relent in investing the needed resources to achieve this lofty aim. The Governor applauded Kano SWAN on its initiative to organise the championship. 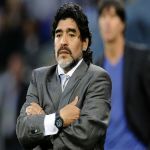 Notably, he extolled the spirit of companionship among media organisations and their employee’s in the state from the kick-off to the finals of the tournament. In full display of his commitment to the competition, the Governor stressed that the state government would continue to create conducive conditions for individuals and groups with worthwhile sports plans for execution in the state. One cannot but applaud His Excellency for his far reaching thoughts and which he kept faith. The Governor believes that the sporting media would continue to discharge their traditional roles thus for the success of the state at all major events. To be honest with you, Governor Ganduje’s road map towards growing Kano State youths through sports has remained one of his administration’s strong points, staying power, and steadfastness. This has made him to be loved by the teeming youths in the state. It is worthy of note also that he did not identify with only one sport, which is a complete departure from the norm. As a matter of such upbeat policy of caring equally for all sports, none is starved too. 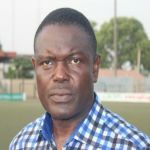 To strengthen his position, he appointed veteran and prudent administrator, Alhaji Ibrahim Galadima as the Executive Chairman of the State’s Sports Commission. Things are practically looking cheery for sports in Kano State. He further demonstrated his sincerity when he signed the Sports Commission Bill into law, thereby officially and legally establishing the Kano State Sports Commission. It would be recalled that the Commissioner for Information, Garba said the law would promote and fast- track sports development in the state. The Commissioner added that the Commission would also create an avenue for youths to channel their energy to constructive activities among other indispensables captured in the bill. 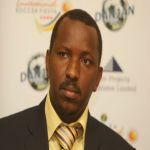 “This is a pure march of the commitment of the state government to reposition sports in Kano State,’’ he noted. That is true talk and it is dripping and manifesting moreover. This news platform has kept an eye on his strides in the funding of sports in the state and decided to unearth its findings, which was spiced with a privately funded tour of the ancient city of Kano State and the unbiased report is being chronicled today for you dear loyal readers’ consumption. Ganduje’s Kano has kept its promise and faith to the good people of his state. I met him thrice when he was Deputy Governor. 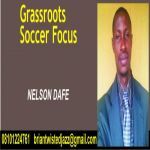 It was when I went to cover Kano Pillars NPFL game and CAF Champs League. He is disarmingly unassuming. His comportment is infectious and also limitless. He has shown enough capacity and responsible leadership in Kano State. The youths have been the better for it. In his characteristic way of commending and fully supporting viable projects that touch the lives of the people in the state, he demonstrated his hearty delight at Ahmed Musa’s vision to invest in a multi-million sports centre in the state. He commended the former Super Eagles captain and Leicester forward for building the N500 million sports and fitness centre in Hotoro GRA, Kano. 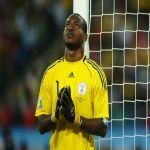 The Governor further recalled that Musa came to limelight in 2007 when he enrolled into the state-owned Kano Pillars Football Club from where his talent not only blossomed but also grew into what we are all witnessing today. That is Governor Ganduje for you; always hitting the nail on the head. He knows the value Musa’s investment would add to the state, hence he never wasted time to show government appreciation for the project. He further expressed excitement and did not hide the frills and thrills over this ideal structure built by Musa for the development of Kano and Nigeria. Ganduje said: “Ahmed Musa has to be celebrated. He has made every one of us in the state proud to understand that our players need to make investment that will touch the lives of others. This place is an ultimate place for aging people and even the younger ones to keep themselves fit. We thank Ahmed Musa and we hope that this kind of structure will not only be in Kano alone. We urge him and other Nigerian players to do more of this kind of asset for Kano, the North and Nigeria.” Ahmed has demonstrated passion for philanthropy, touching so many lives with his wealth. A tour of the state shows that Governor Ganduje is working, as shown in the development of sports which is where you can easily find the youths. His doggedness to steer the ship of his state to safety is felt among all. The visit revealed his overwhelming achievements purely based on the projects his administration initiated after completing the old ones that he was also part of. Governor Ganduje’s remarkable achievements in two years deserve commendation. This article is research and sight-seeing based and therefore objective in all facets. As a competent journalist and analyst, I’m not one for praise singing for anybody, government, corporate organisation or individuals. I choose positive criticism to highlight apparent inadequacies and where to improve upon. But I found out after my visit that most of the criticisms against Governor Ganduje are highly prejudiced and unfair. The pulse I got from what Nigerian elites call common people, sports men and women gave me full inclination of who and what Governor Ganduje means to his people. I was told in clearer terms that the Governor is concerned about making lasting impression on the sand of time in the state. The Governor demonstrated his sterling leadership qualities by showing concern and remarkable interest in sports development. The mistake some people make is comparing and expecting different administrations to have same style. It is not possible, every government has its style and methods and that of Governor Ganduje is no exception. 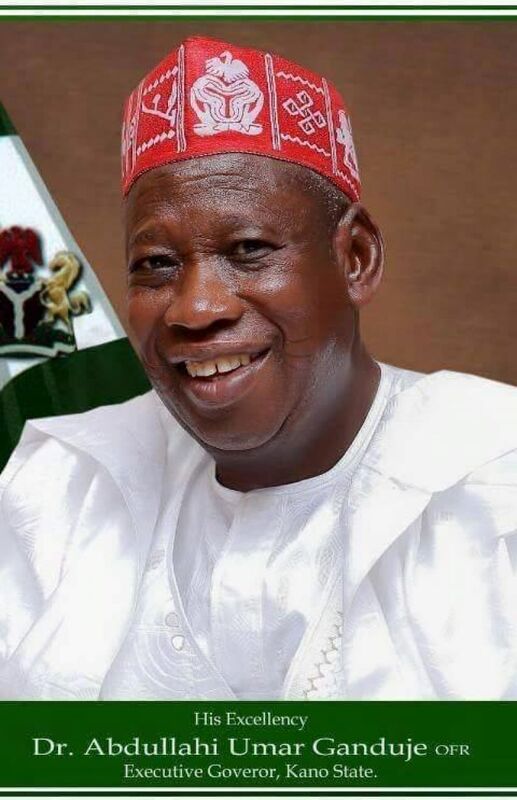 The people of Kano have started to reap the rewards of the leadership style of Governor Ganduje, despite the challenges; economic and massive debt incurred by the previous administration, I see sincerity of purpose in his administration, and there is steady progress being made in many sectors like security, education, and infrastructural development around rural and urban areas in Kano. One of the main qualities of good leadership is to be in sync with your followers. Governor Ganduje has shown remarkable relationship with the people of Kano. He attends weddings, condolences and relates with both the old, young, rich and poor. Governor Ganduje has written his name in diamond and gold as the only Governor in the recent history of Kano to have vowed to complete all the uncompleted projects of previous governments in the state. Governor Ganduje has so far distinguished himself in the whole of Nigeria as far as sports and youths development are concern. There are hundreds of youth undergoing training in modern mechanic technology at PAN Nigeria, and the government will build a modern Mechanic Village for the youths. Truly, Governor Ganduje is here to work. And his administration is not one based on ego, pride and deceit. Ganduje has at different times been honoured. He was conferred with the national honour of the Order of the Federal Republic (OFR) in September 2012 by former Nigerian President, Goodluck Jonathan. He was also conferred with the honour of Fellow National Association of Educational Administration and Planning (FNAEAP) on October 13, 2016 by Bayero University, Kano, among others. It would be recalled that his administration in Kano came on board with so much promise. Having served the outgoing administration as Deputy Governor, a lot was expected, especially in terms of continuity of projects which he has spiritedly embarked upon for the past two years plus now. He has made life more meaningful for sports men and women in the state hence they are hailing the Governor to high heavens. I felt the pause of all of them including players and official of one of the top flight NPFL teams in the country, Kano Pillars FC. It was prayers upon prayers for the Governor who, most people described as God-sent and humane in character despite his exalted position. The atmosphere around the city reminds one of the good old days of Raccah Rovers of Kano, where serenity was the watch word. The sports men and women in the state admit that the Governor does not discriminate against sport, that His Excellency treats everybody equally as impartial father to all his children. They further revealed that the state government does not owe anybody any salary or allowances of any kind. Ganduje’s Kano State has shown lots of gritty, respect and honest to the cause he believed so much in and it is earning applause daily. Daily Sports never notified anybody of her visit so as not to be accused of biased report. This is a holistic and thorough finding which can be safely qualified to be one of the privately motivated investigative reports on Ganduje’s regime; no colouring and slanting whatsoever. It is on that closing note that I will as usual pull our readers to Twitter, in share, face book, WhatsAPP for discussion to continue. Keep shooting hard, till next week! !